The US Open is just a week away now and the excitement is gathering momentum. 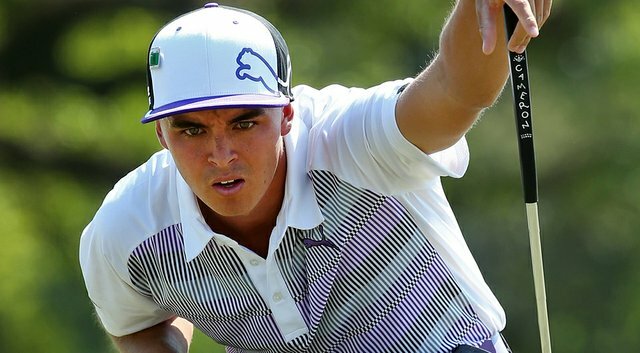 It’s been a truly remarkable year in golf with big names doing big things and you can only really think that the majors will produce outstanding drama in 2015. 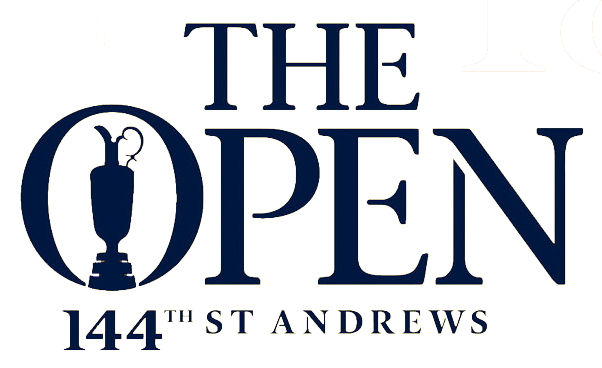 And we can expect drama befitting of the West End or Broadway for this years US Open. 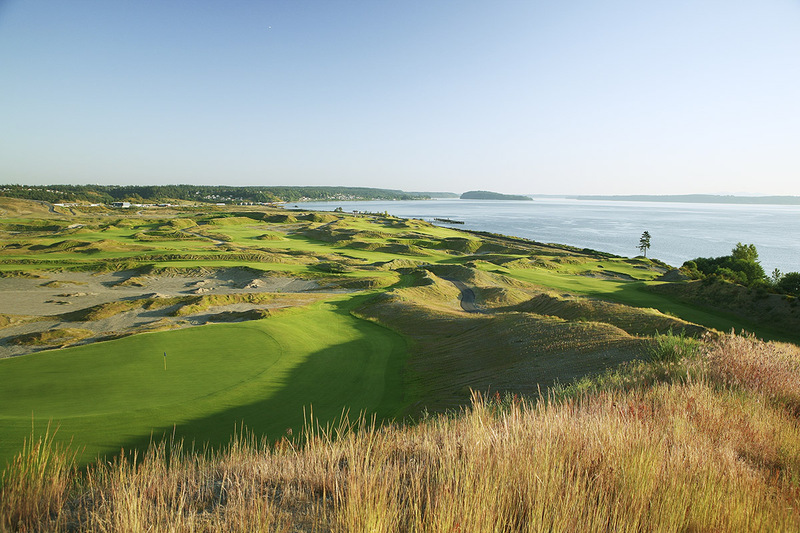 The USGA are taking a completely different approach by selecting Chambers Bay and in our eyes, all stats, history and trends can pretty much be flung out the window – in some respects. Of course, it’s still good to have a look at US Open form however unique the course is, because the correlation of tough, grinding track will certainly cross over. So, our major preview this year is going to rely on incredibly different aspects to usual and an in-depth look at the track that is causing various degrees of mayhem, controversy and excitement. Primarily, what do we actually know about the place? Well it is in Washington, which is a first in itself and has been built and moulded on top of what was an old quarry site. Whilst we’ve seen coastal type golf at Pebble Beach before, never have we witnessed anything like this. It’s a bonafide links track, never really seen in the States, but very common in the UK. Designed by the legendary Robert Trent Jones Jnr, he pretty much had next-to-no restrictions on how he was able to construct the layout because of it’s history. That’s why there are intriguing holes, tough contours and uneven ground. We’ve been lucky enough to spend some extended time with one of the guys who helped in the construction, agronomist John Clarkin. He, like many others, was drafted in from a British and Irish background knowledge of Links tracks to help grow and design this unprecedented place. 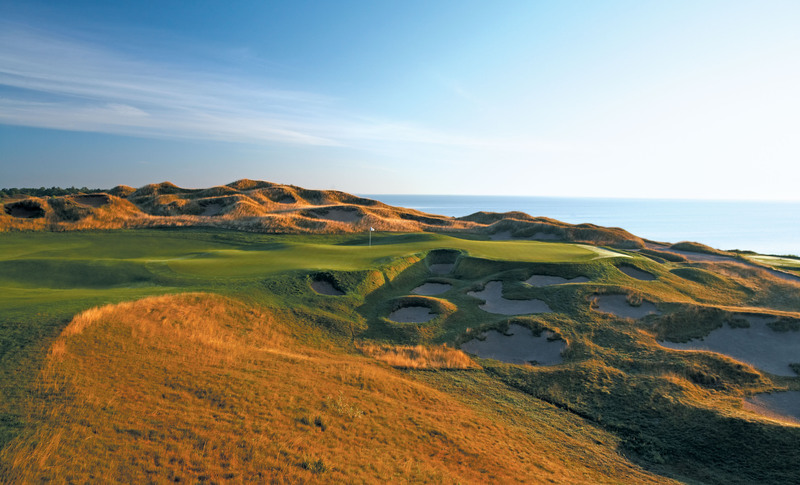 Clarkin stated how Links-like it is and that you can draw pretty much no comparisons with any US courses – it’s simply like extracting a British seaside course and plonking it on a Washington coastline. The rough is full of fescue and overgrown, natural grass that will pretty much mean a drop shot if you’re hacking out of there. However, the fairways are slightly wider than we could expect, which brings to the argument that big hitters will fare well. However, if you are spraying it all over then you are going to have absolutely no chance. The second cut will not be particularly long either and alongside the fact there are no real fringes around the greens, the whole course just manoeuvres and meanders around itself, flowing into one mammoth challenge. Iron play is going to be absolutely vital as well – the best player from tee to green will without doubt be in the mix. But obviously we have to factor in the sloping and rapid greens (potentially around 12 on the stimpmetre) that will cause havoc and 3-putts galore. That looks like a fun bunker doesn’t it? 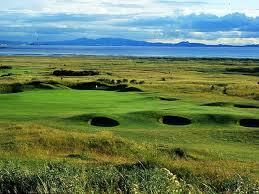 But the main thing to really look out for, as with any Links course we’ve ever bet on, is the weather. Wind being the main source of potential destruction. At the time of writing, the wind will not be particularly horrendous, but simply due to the exposed nature of some of the holes, a slight breeze can still be tough to deal with. 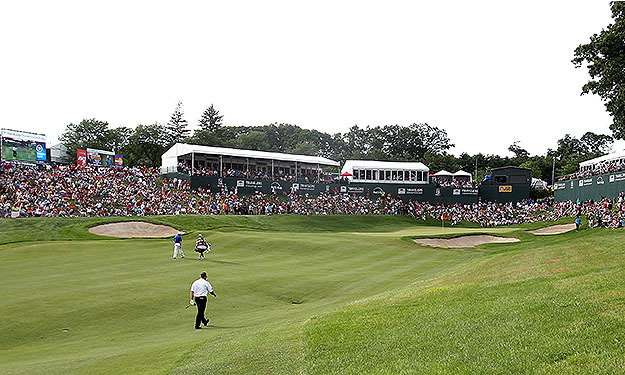 The last big thing to think about is the fact that whilst the par 72 stands at 7,585 yards – we’ve already been told that the USGA are going to play around with several holes on various days, making each one completely unique. We could have anything playing rom 7,350 right up to 7,800. That is simply madness for players and caddies, but amazing for us as spectators. So, all in all, what sort of player should you be looking for? So if you’re able to work any of that out and have a few players in mind, we’d say go with your hunches. Phil getting those fists pumping. Come on! Sometimes you’ve just got to believe things will happen for a reason. 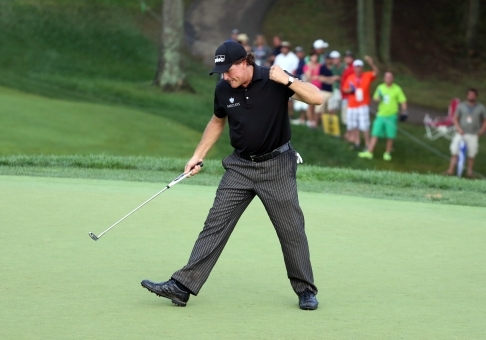 2015 could finally see Phil’s tumultuous affair with the US Open finally come to an end. The guy has 10 top 10’s and 6 runner-ups with Chambers Bay being his 25th start at this major! After visiting the course for the first time a few weeks back Mickelson said it “resembled a course you would find in Britain” and that he’s “excited” about Chambers Bay. Looking at his Scottish double back in 2013, we know he has exactly what it takes on these sort of tracks. The fairways being slightly more generous than usual will only go to help him and if the wind picks up we know he’s got a few low stingers in his locker. As we’ve mentioned, winning a US Open needs recent form. He’s only missed one cut (The Players) in his last 8 events and has a T4 at the Wells Fargo and T2 at the Masters amongst them. Has posted some solid rounds in recent weeks but just hasn’t put 4 rounds together – Chambers Bay and the electric atmosphere of the US Open is where he finally could. Phil produces on the biggest stage. 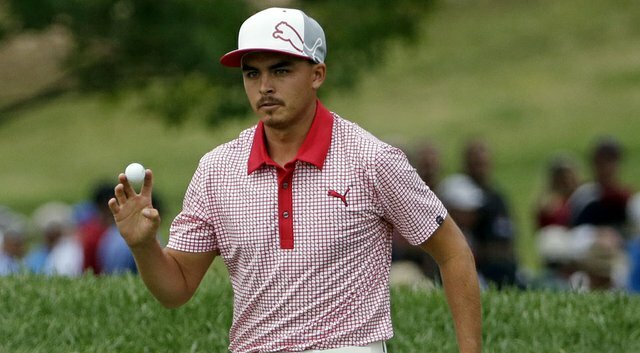 Rickie Fowler showed everyone last year that he has the game to really contend at the Majors. 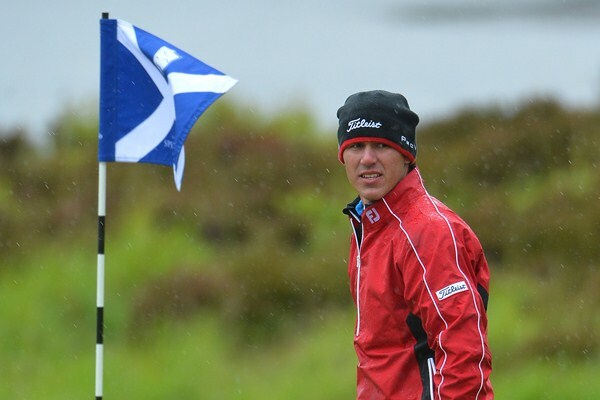 Followers of DownThe18th will know that we’re big fans of him and have often spoken about his exciting brand of golf. Winning the Players Championship a few weeks ago (and saving our pretty poor betting season) really cemented his place amongst the big boys, dispelling the ridiculous myth that he’s an overrated player. He was absolutely superb on the back nine stretch which included 4 birdies and an eagle, then keeping his bottle to win in a playoff. So, whilst he missed the cut last time out at the Memorial, his form this season is still more than good enough to warrant huge Major appeal. But one of the biggest reasons we really fancy him for his maiden victory is because of the perfect fit with the track. 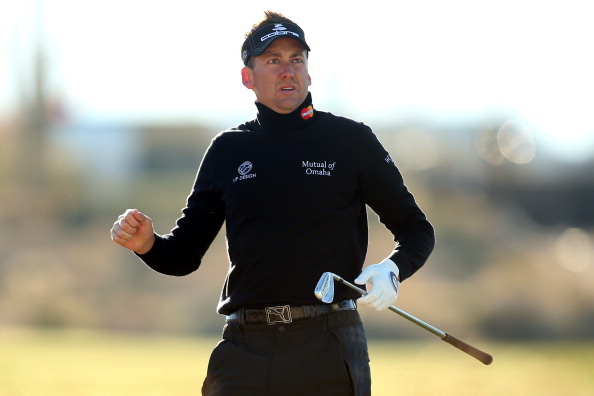 He has proven his ability on Links courses and actually has a decent track record. He’s not been scared to come over to the UK for European Tour events in the past – a T8 at the Scottish Open last year and T30 in Ireland in 2015. That T30 was pretty much ruined in one hole though, when he was very much contending going into the last day. 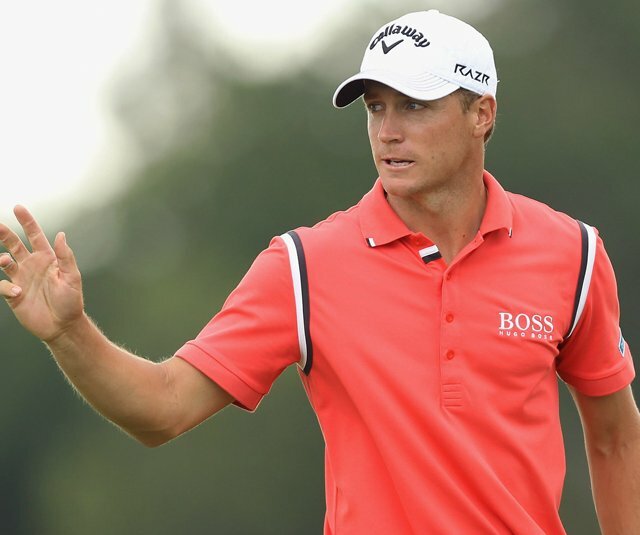 He is one of the best drivers of a ball – T23 total driving and his irons can be devastating. But his scrambling and never-say-die attitude is simply perfect for a course like this, when there will be times you’re hacking out of rough and struggling for a tough up and down from a bunker. This could be the ultimate message to everyone in golf that we are going to have a 4-pronged future with McIlroy, Spieth, Rose and Fowler. 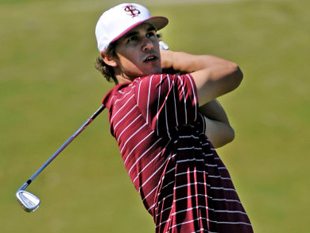 We all know about how many near-misses Jimbo had before he won the RBC Heritage back in April. But that win could give him the extra confidence in his mid-forties to find himself another major win. 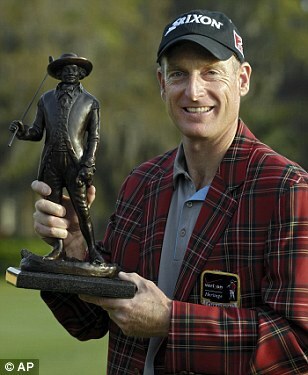 In 2003, Furyk won the the US Open at Olympia Fields making light work of the field winning by 3 shots. 10 top 10’s since and he still hasn’t won another major. 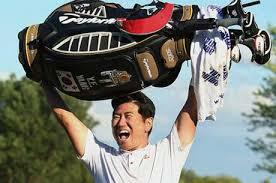 But 2014 was arguably one of his most consistent ever years in the majors (T14 Masters, T12 US Open, 4th Open, T5 PGA). And it’s that sort of form that has seen him rise to 3rd in the world golf rankings. In any sport, 40/1 for the guy ranked 3rd in the world is value. 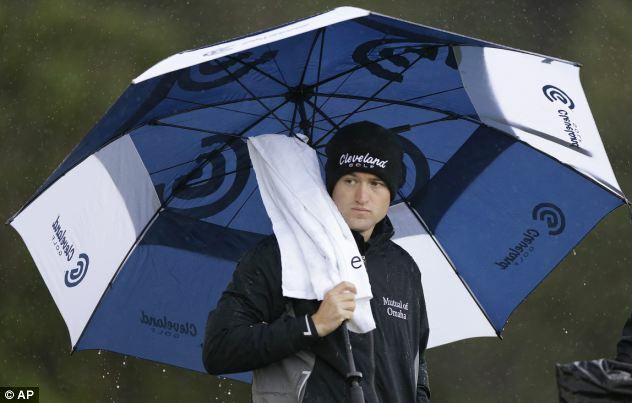 So what’s going to endear the American to Chambers Bay? Well not only is he brimming with confidence after his RBC win, combined with a 4th in the WGC Match Play and T5 at the Memorial, but his style of play is perfect for this course. Jim finds fairways. He puts the ball where he wants and hits plenty of greens. 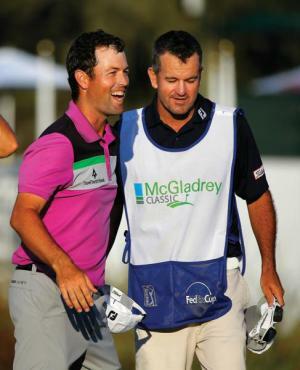 And when he doesn’t find the dance floor, he’s one of the best at getting up and down (23rd in scrambling on Tour). It’s hard to see Jim not contending with the way he’s striking the ball at the moment – he’ll know the majors are running out where he can compete with the likes of McIlroy and Spieth so he’s going to be giving 110% this week to win US Open #2. Okay, so we might not be getting the best feeling out of the Poulter camp regarding his views on Chambers Bay having claimed he will let everyone know his thoughts on the course after “holing his last putt”. If his Wentworth views are anything to go by, Chambers Bay isn’t likely to be making his bucket list. 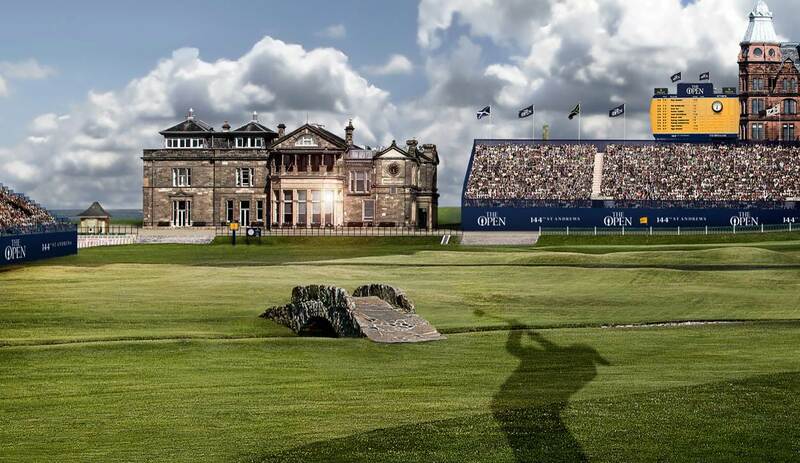 But quite frankly this is a major, the ultimate in golf and Poults will be buzzing for it. Time and time again we talk about his Ryder Cup exploits but they really do show that the Englishman has it in his locker when needed. 2015 has seen him play arguably as good as he ever has in America, T6 HSBC WGC, T3 Honda Classic, T6 Masters (his best performance at Augusta) and T5 in his last appearance at the Crowne Plaza. The swing is looking immaculate and there can’t be any complaints about the way he’s playing. 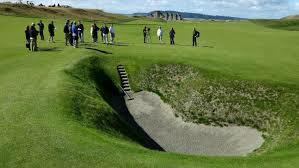 Chambers Bay will have a British Open feel to it and Poults is more than capable on these sort of tracks. He’s finished T3 and T9 in 2 of his last 3 Opens and has his best ever major finish at the Open, 2nd to Padraig Harrington in 2008. A few concerns have surrounded his bottle of late (as much as he won’t like us saying it) given the disastrous 4th round at the Honda but he’s confident in his own ability and we think this week is as good a chance as he will ever get at a major. 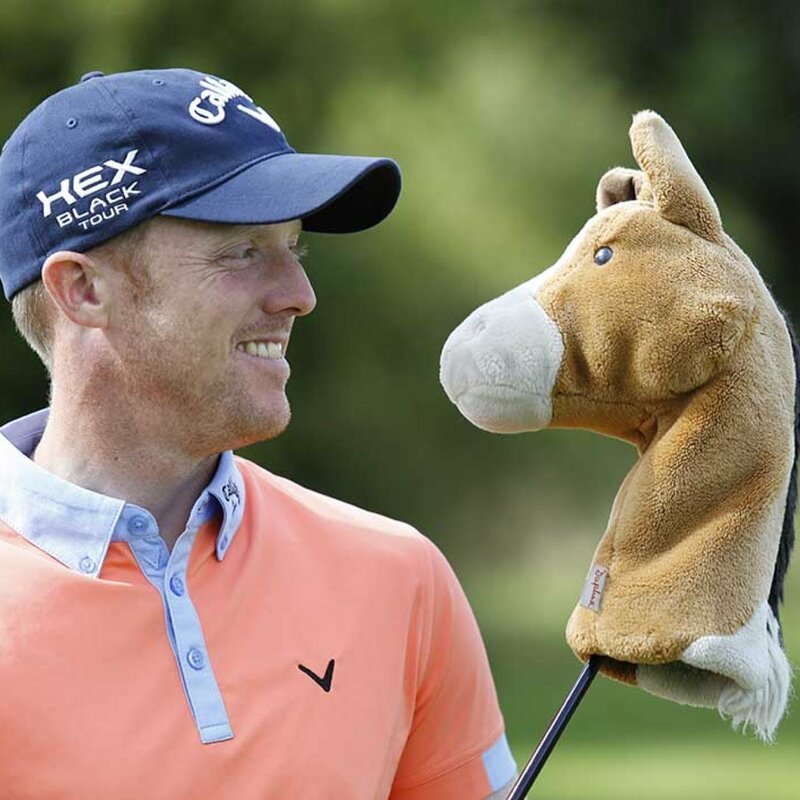 The Englishman was spoken about in the same breath as fellow lads from the UK Donaldson and Lowry but we’ve plumped for Danny and we’ll tell you why. 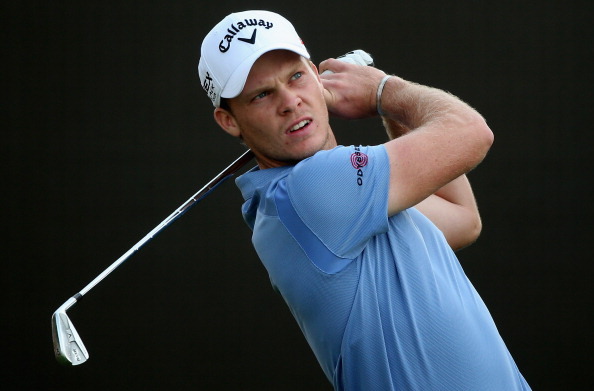 Firstly, 2015 has seen the birth of Willett on the world stage. Not many American’s will have cared about who he was 6th months ago but they do now. He finished T12 in only his 4th WGC event at the Cadillac back in March which for us, was such a big result for him. 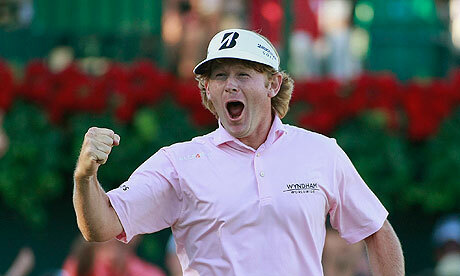 But then came the WGC Match-Play. He looked unbelievable winning 6 out of his 7 matches, only losing to Gary Woodland in the semis. He defeated the likes of Reed, Moore, Westwood and Furyk on the way to his 3rd place and 2nd biggest pay cheque of his career. It also catapulted him into the top 40 in the world. 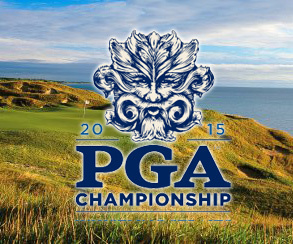 All of that means Willett, now with temporary status on the PGA Tour, has to be taken very seriously for this event. Tee-to-green is where the Englishman earns his bread and his game will be a perfect fit for the British feel of Chambers Bay. His career best major finish was a T15 at the 2013 Open, in what was only his 3rd major start. 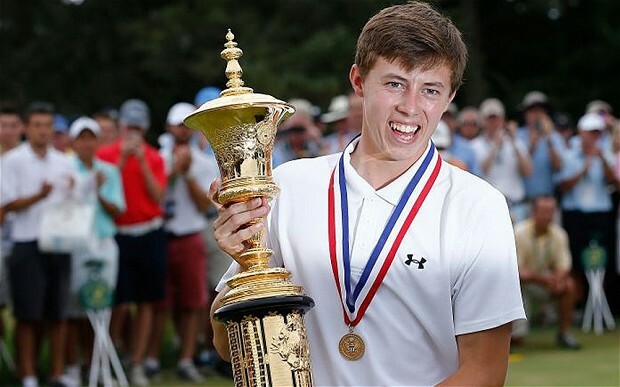 The US Open more than any other major seems allow players with no previous major form to come in and contend and Danny is the perfect mould for that. There are certainly a lot worse bets out there than this one! Last week the Swede won his 4th European Tour title and his first in 4 years. After injury woes put pay to any sort of form in 2014 it seems Noren has come back fitter and better than ever before. His standout attribute is his ability with irons from the fairway and this week at Chambers Bay, that will help him out tremendously. The putter too in recent weeks has got hot, so no surprises that when he ranked 3rd putts per GIR at the Nordea Masters, he won by 4 shots. His best major finish to date was a T9 at the Open and has only played in the US Open (2012) twice before. 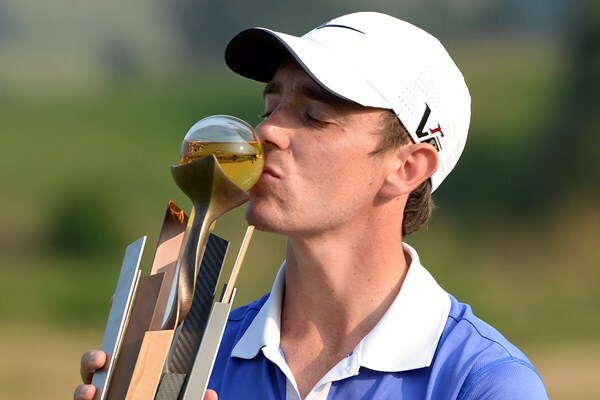 But Noren is a confident character and you have to envisage these players in a potential final pairing with the likes of McIlroy and Spieth – how would they cope? 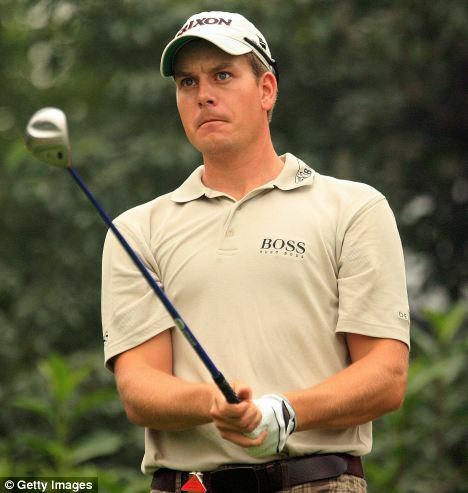 For many of the European Tour stalwarts you’d say not very well, take Wiesberger at the PGA last year for example. But Noren seems like the kind of guy who won’t be phased at all. At 250/1 and a recent winner, we’re looking for his confidence to continue and put him in contention this week.